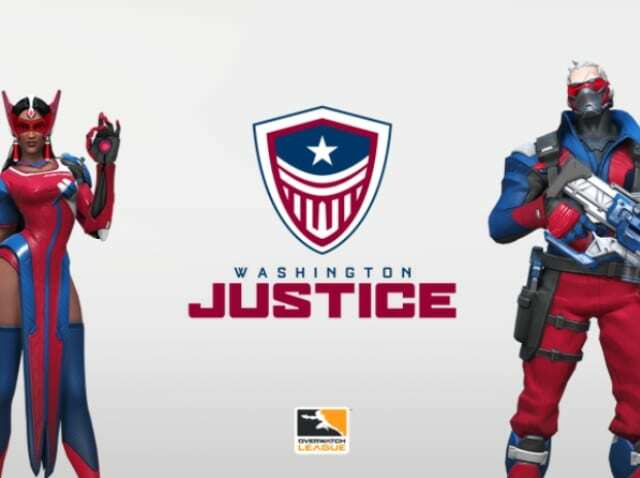 The final expansion team for Overwatch League revealed its branding monikers, as Washington Esports Ventures, led by Mark Ein, announced the official name and identity for the Washington, DC expansion team. The squad will be known as the Washington Justice, flagged by the official team colors of red, white, and blue. The logo is composed of a shield banded in red and white stripes with the bottom of the shield forming a subtle “W” in tribute to the region, centered on the Washington Monument. The Washington Justice’s marketing territory spans the entire thriving Capital Region from Baltimore to Richmond.